Home / Inspire-A-Soul / Relationship Corner / RELATIONSHIP-ISSUES-AND-18PLUS / Struggles of Life / Tales By Blog-Light / True Life Story Of How God Blessed A Man Whose Wife Abandoned Him And Their Two Little Kids Because He Lost His Job, And How She Came Back Begging! True Life Story Of How God Blessed A Man Whose Wife Abandoned Him And Their Two Little Kids Because He Lost His Job, And How She Came Back Begging! 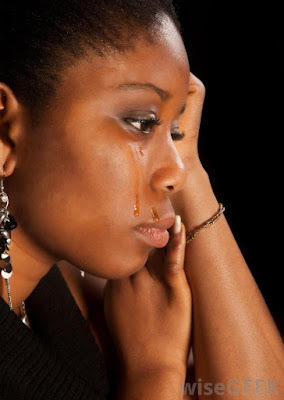 Not too long ago, a Facebook User, Ogechi Njoku-Alabi shared a touching story of how Karma came back to bite a lady who abandoned her husband and her little children after he lost his job and had no money to provide for the family. The story is definitely a must read. It looked like I have been ranting all morning but in reality I was preparing everyone for the story I am about to share.We had this family friend when we were quite young. The man was dark and handsome while the wife was light skinned and very pretty. The striking thing about them was that the woman was much taller than her husband. The lady ran a salon, she had girls working for her (I am not sure she knew how to do hair) while the husband worked in the Bank. We liked them but the woman wasn’t really friendly. They had a son and by the time we were friends, she was pregnant for her second child. Everything was fine until she put to bed. She had a baby girl and there was so much excitement about her birth. We went visiting immediately she was born but by then the drama hadn’t began.Three days after our visit, her husband barged into our house. He was so frantic and was threatening to kill his wife. What happened? Why are you so angry? What did she do? He said she refused to breastfeed her daughter. She claimed she wasn’t producing milk and he bought baby milk for the girl. Still, she won’t attempt to breastfeed her.He tried to find out why but she was giving him attitude. Her Mother refused to feed the baby with the baby food and was feeding her glucose water but the girl had lost a lot of weight. My Dad was a peacemaker; I can’t count how many issues were resolved with his involvement. He sent for her and she came with her Mother and baby. “Madam, why aren’t you breastfeeding your baby?” “Breast milk isn’t coming out” she responded. Her Mother shouted, “It’s a big lie. She is taking medicine so the milk won’t flow. See the drug.” When her husband saw the drug, he descended on her. It took my Mom, my Dad and my elder sister whom they had to call out from our hiding place to watch drama to pull him away from her.She was stunned by her gentle husband’s reaction. She broke down crying. My Dad took the husband into his bedroom to cool off while he and Mum tried to find out why a woman would refuse to feed her own child. Her response was hilarious. She said when she breastfed the first child, her breast sagged a bit. Her friends told her she was no more desirable, that they don’t breastfeed in order to avoid sagging.So, she decided not to breast feed again. My Dad asked who gave her the drugs and she mentioned those friends. My Dad asked her if her husband had ever complained about her not being desirable, she said no. So who was she trying to be desirable for; our young minds wondered. My Mum told her that the drug she was taking was definitely going to sag her breasts.She asked who the friends were and she mentioned a few and unfortunately, two of them had nasty reputation and in those days reputation mattered. My Mum warned her to keep away from those friends because they were going to ruin her. Imagine the wicked advice they gave and she was not moved even when her baby was rejecting the baby food. Her Mother didn’t talk all through until her husband was called out and informed that she was insecure and was scared that she would be undesirable to him. So, to maintain her features she decided not to breast feed which was a childish decision. They begged him to forgive her and assured him that she would sit up. That was when her Mother spoke up. She told him that he should stop her from doing that business or going to her shop if he wants to keep his wife and he should cut off all those her friends. She said she had listened to their conversations and even though she wasn’t educated, what she picked wasn’t good; they were out to spoil her. After the reconciliation, they left. "Six months after (the baby was six months when she stayed with us) the woman packed her things and left her husband and 2 children. The man had recently lost his job due to retrenchment in his Bank and they had too many fights about money. Then she left him. My Dad went to her salon to look for her but she wasn’t there. It was like she had disappeared into thin air. Her Mother came from the village and took over the care of the children while blaming her son in law for not heeding to her warning. Because her daughter was beautiful and also gullible, she was an easy prey for them. They were jealous and were out to destroy her." The man looked everywhere for his wife but couldn’t find her. Then he heard rumors of her being seen at beer parlors with men. He decided to do something more meaningful for himself. The Bank paid them off and his siblings whom he helped travel abroad asked him to come over to Germany and start importation business. He left his children with his Mother in law in his house and travelled. We checked in on them once in a while.The man started spare parts importation business. He brought in Mercedes parts and sold in containers. He moved out of Satellite town to Isolo to be closer to the market. Some years later, we were invited to his new house. The children were grown now. He had a new wife who just had a baby. I was impressed. He was a big man now. When we knew him then they lived in the bank quarters and it was a two bedroom flat. Now, Oga don blow! He didn’t even sound the same any more; his voice was deeper like that of an affluent person. His new wife was very friendly and treated my parents with loads of respect and importantly, she breastfed her baby. His Mother in law (mother of the first wife) was also there with them. He didn’t have a Mother so he had adopted the wise woman as his.When good fortunes come, so does the devil rear its ugly head. The first wife, along with her friends, went to fight the new wife at her place of work. She disgraced her, calling her Husband snatcher, Ashawo claiming she charmed the man to chase her away. It got so bad that the company had to take the case to the Police. Apparently, she had tried to see her husband and he had blocked all chances of her meeting with him. The only way she thought fit to get back in was to accuse the new wife. The Police asked what happened and she claimed he threw her out of the house and took her children from her. The man maintained that he didn’t but she left abandoning himself and the children including her 6 months old suckling baby because he lost his job.They asked for witnesses, that was how my parents got involved. My parents and her Mother came to bear witness. They found out he had her located some years back and through his lawyer served her divorce proceedings but she never showed up. Judgment was given against her and the marriage was annulled. All the evidence was against her, and guess what? She went on her knees to beg her husband. Well it was too late then, he had moved on and there was no going back. She wanted to have access to her kids and the police appealed to him to allow her see them.They were brought to his office for her to see them but they wondered whom she was. She kept pestering the man, threatening his wife, going to friends making false claims, just generally making life unbearable for him. He offered her money to go away but she came back. My Dad advised him to relocate with his family before she does something very drastic. They left Nigeria for the United States of America.By the time she realized that they had relocated, she was hysterical and came to my Dad’s house. I saw her and although she was still pretty, she looked spent. Compared to his new wife, she was local or is it razz. My parents advised her to move on with her life and my Dad was blunt in telling her that if he was his blood brother he won’t ever allow him take her back. She caused her own problem by following bad company. Where were those ladies now? She lost out on a good man who loved her and looked for her after she left.He was ready to forgive and take her back but she wanted something else and now she has lost her husband and children. That was the last time I ever saw her. The man came to visit my parents in the US before my Dad died. He appreciated my parents for helping him even though they were not from the same state (he is from Enugu and we are from Imo). When he was told my Dad died, he wept like a baby on the phone. It hurt him because he was making arrangement for them to visit him in his home. He is still in close contact with my Mum.The woman lost out. Many women make this mistake. The grass always looks greener on the other side. It is a mirage. Stay put in your marriage and make it work. Life is filled with ups and downs. That is why we have sunrise and sunset.There is a song I love because of this phrase “Joy comes in the morning, troubles they don’t last always”. The marriage vow is designed for us to understand that marriage is forever but as humans who like shortcuts we pushed for divorce and we device ways to undo what God has designed.BEWARE OF BAD FRIENDS. BAD COMPANY CORRUPTS GOOD MANNERS. SHOW ME YOUR FRIEND AND I WILL TELL YOU WHOM YOU ARE. BIRDS OF THE SAME FEATHERS FLOCK TOGETHER. CHOOSE YOUR FRIENDS WISELY. I don talk finish. Positive site, where did u come up with the info on this posting? I'm pleased I came across it though, ill be checking back soon to find out what additional posts you include.